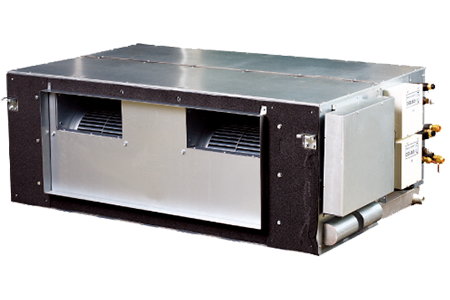 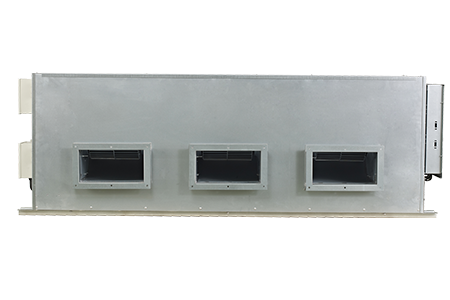 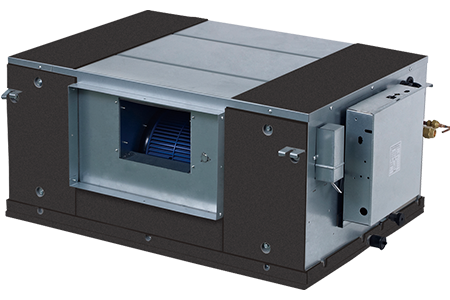 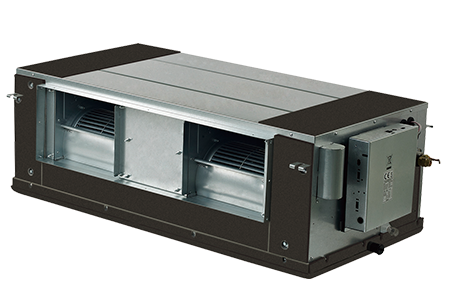 Up to 200Pa external static pressure allows extensive ductwork runs and flexible application: ideal for use in shops, medium size offices and large areas. 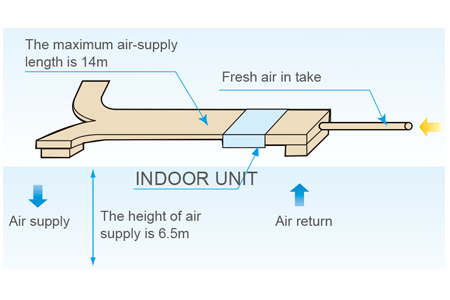 The maximum length for air supply is about 14m at a height of 6.5m. 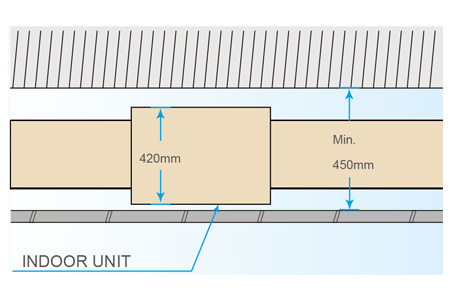 With a 420mm (models 71 to 160) thick body, the minimum distance required above the ceiling is 450mm.